Chair in the Shade: Whatever Goes Giveaway- Coming Soon! I love Giveaways! Just in the last two months, I've won six 12 packs of Seagram's gingerale, two DVDs, and a scholarship to Big Picture Classes "Project Life Lessons" Winning is great, but giving is almost as fun. 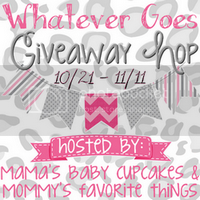 So, I'm signing up to join Mama's Baby Cupcakes and Mommy's Favorite Things Whatever Goes Giveaway Hop, which starts up next month. Want some more info? This giveaway is going to be prizes with the theme whatever goes. Anything is acceptable for this giveaway hop. There are lots of options for finding a prize for this wonderful event. Your only mission is to find the perfect prize pack for your blog! Because this is a blog hop, each blog will be responsible for securing their own prize on their own blog. Each prize must be a Minimum of $25. The Prize can be sponsored OR you can self sponsor. Each blog can have more than 1 winner, but each winner must win at least $25 in prizes. 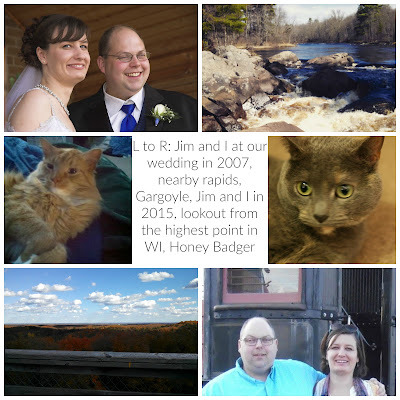 Joining this Blog Hop is FREE as long as you share the announcement in some way. It takes 2 seconds to do this!! Tweet, pin, or share on FB. Sign ups close 10/14 Add yourself to the Linky at Mommy's Favorite Things! You MUST share this announcement in order to participate in this hop. If you're a fellow blogger, link up! It should be fun! I'm still not sure what I'm going to giveaway. Anyone have any ideas?